If you use a refrigeration system for your business, it is highly likely that you utilize anhydrous ammonia refrigerant in your various cooling processes. Using an effective, but toxic chemical comes with many responsibilities. Part of this includes laws and regulations to protect from the hazards of an accidental release. The EPA obligates any business with more than 10,000 pounds of anhydrous ammonia to submit a risk management plan. Additionally, any discharge of Ammonia over 100 pounds must be reported in a detailed manner. NOTE: Some dangerous gases have lower reporting requirements for a loss or discharge. At Barrow Systems, we offer a full scaled solution to such responsibilities. 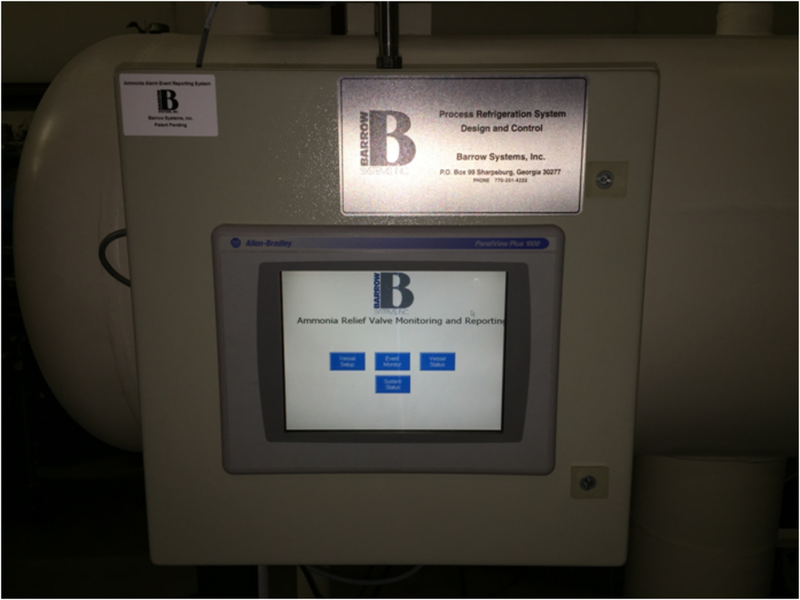 Our patented Refrigerant Relief Valve Monitoring and Reporting System© (RRVMRS) collects and reports discharge events of dangerous gasses in a way that makes it easy for government compliance. The measured event start time, measured event end time, and date is recorded. The exact duration of the discharge is recorded as well. The system identifies the exact vessel and relief device that is used during the process. This makes it easier to pinpoint the potential cause of the release during an inspection. The exact amount of ammonia that is released is reported in pounds.This works for other pressurized gasses that need to be monitored as well.